At Gallery No. Eight, we believe that everything in life is art. How you decorate, how you dress, how you get ready in the morning. Your work, your home, your style. The nail polish colours that you choose, the books you read, even the way you make your tea (or coffee). These can be done, or chosen, artfully. This is what we believe and what we attempt to live - although it is often easier said that done. Welcome! We hope to inspire, encourage and curate the everyday. Living well, where you are. Gallery No. Eight began as a blog back in December of 2010. Britt was looking to create an outlet for her thoughts, a portfolio for her future work, and a chance to try something new. The first post was published on January 1, 2011 and she challenged herself to write a post every day that year. 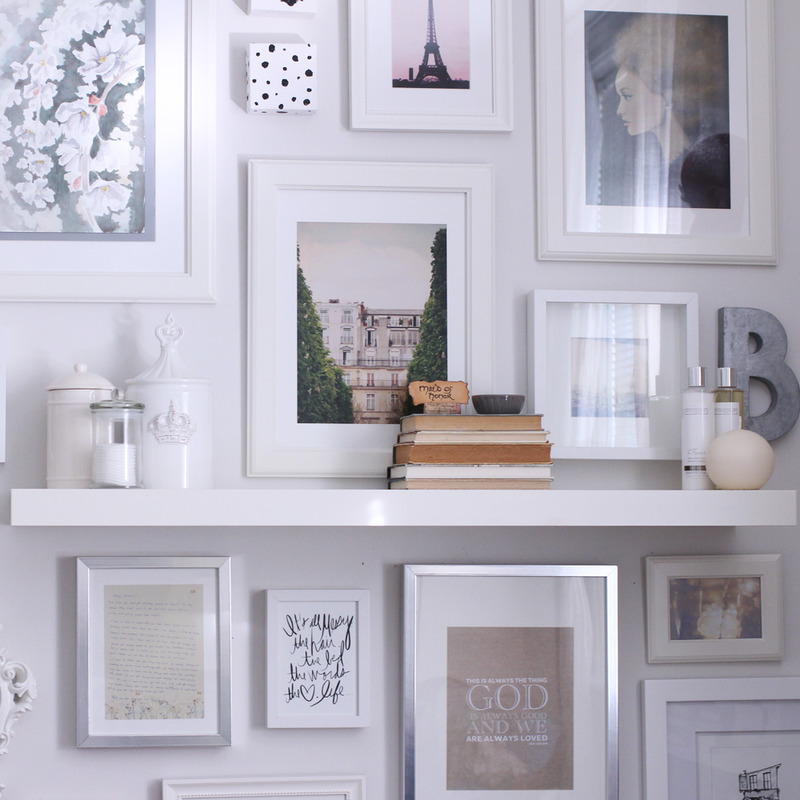 She found the world of design bloggers (Design*Sponge! Rambling Renovators!) and loved the community of like-minded creatives. Having always loved design & interiors, she kept the focus of her blog on interior design, hoping to pursue some sort of career in that field after graduation. Over time, the focus became broader and Gallery No. Eight began to feature art, beauty & more lifestyle posts. Art history was one of her favourite subjects, so delving into the art world seemed a natural extension of her past focus on interiors. She began to get questions about her nails on Instagram, so she started posting tutorials and providing info on her nails and other favourite beauty products. In addition to a broader range of blog topics, people began to ask who had designed the blog. Britt got her feet wet creating designs for a few close blog friend and after a while, she began to advertise her services and grow Gallery No. Eight from a blog to a business. She worked with wonderful clients, spoke about design at BlogPodium, and loved the incredible opportunity to design for projects big and small. Branding & blog design were her specialities, but she dabbled in photography, front design, print work and interiors. An opportunity arose in early 2016 for Britt to enter the world of finance. Having always enjoyed math & science, she decided to take it and see what happened. She found she thoroughly enjoyed the change and began to scale back on freelance work. After a few changes in position and location, Britt has a growing career and is looking forward to what the future brings. Gallery No. Eight has come back around to being the creative outlet it first started as. A place to share art, design, favourite things, and all the things that make life lovely.